As heroin pours into the state, an epidemic of addiction threatens a generation of young people, their families and friends. View the stories, photos, video, data and how to get help. PAYSON – Even in Arizona’s Rim Country, in a city of just 16,000 people, heroin abuse is surging among teens and young adults just as it has across the state. “We had some issues with other drug problems in the past, but this is just encompassing our whole community,” Payson Town Councilwoman Su Connell said. Nearly 70 people came out for a Payson Town Hall meeting earlier this month, many of them standing in the hallway outside the small council chambers, for a three-hour meeting on how to try to fix the deadly problem. 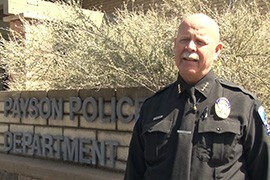 Police Chief Donald B. Engler said the heroin abuse is tracking much the same as it is in other parts of Arizona, where officials have described an escalating cycle of hard-core drug abuse that often begins with pain pills and ends with heroin. 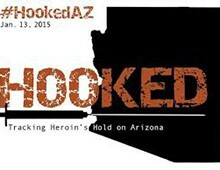 According to a Cronkite News analysis of public records from the 2009-2013 Arizona Hospital Discharge Data Set, gathered by the state Department of Health Services’ Bureau of Public Health Statistics, more 20- to 25-year-olds have overdosed on heroin since 2009 than any other age group. Seven of those overdoses happened in Gila County, where Payson is located. Addicts and community members say some in Payson may use heroin because there isn’t much else to do here. “Right now the only thing we’ve got for young people in town is the two parks, and, you know, most of the heroin use is going on at the parks,” said former addict Robert Schmidt, a 23-year-old native of Payson. The mayor said there are after-school programs, but Schmidt said town needs more. The council will hold another town hall meeting in April and bring in 22 professional and volunteer organizations to offer advice and help to families and addicts. Evans listed the school system, behavioral health services and religious organizations as some of the groups that will be involved in the meeting. Heroin isn't just a problem for Arizona's big cities, as a recent town meeting in Payson illustrates. Dozens jammed Payson Town Hall to discuss what to do about surging heroin use among teens and young adults. The Arizona Criminal Justice Commission handed out $600,000 in grants to 13 law enforcement agencies around Arizona. The goal: Boosting education about the dangers of substance abuse as well as kits to help abusers. 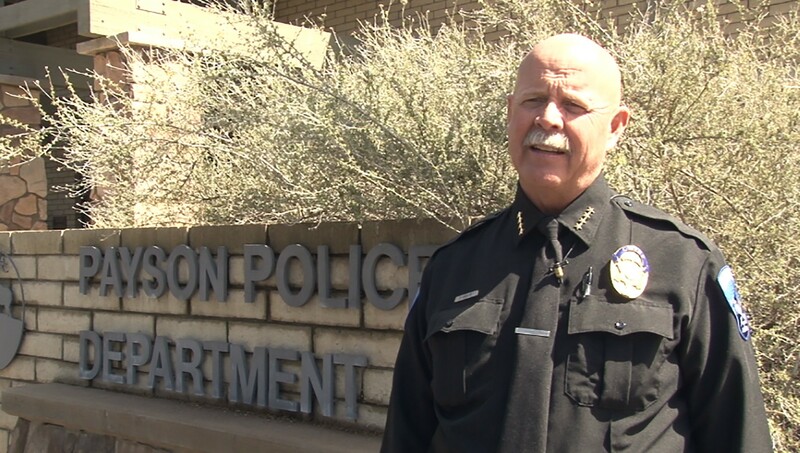 Payson Police Chief Donald B. Engler says he’s seen heroin users as young as 14.